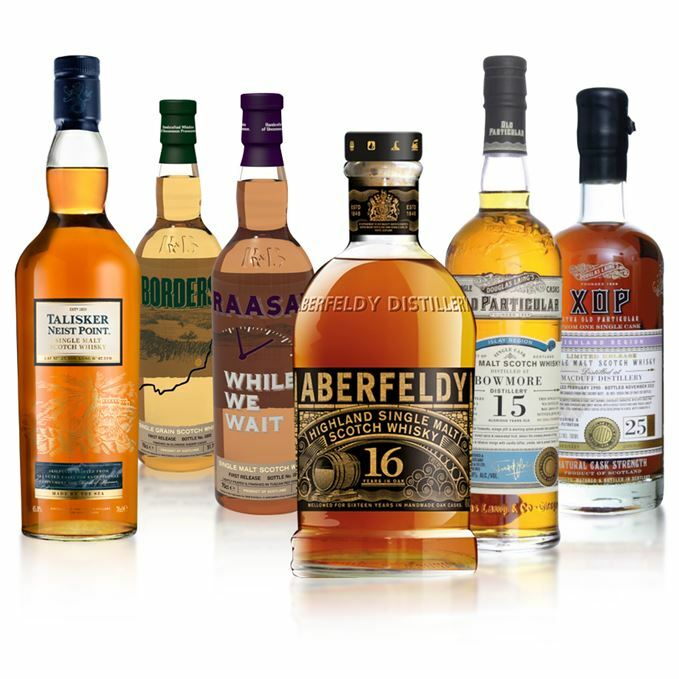 This week’s batch of new whiskies tasted by the illustrious Dave Broom include a new NAS Talisker offering, the first bottlings from R&B Distillers prior to their distilleries even being built, a Sherry-cask finished Aberfeldy, and two single malts from Douglas Laing. 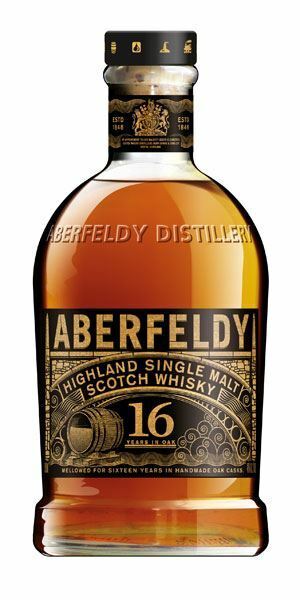 Big sweet, honeyed nose which is classic Aberfeldy. The oloroso cask used for finishing adds this rather lovely old dusty sofa element, then comes some caramelised hazelnut, broom blossom, and cake mix. There’s a little green banana when water is added. Highly promising. The boldness of the nose dissipates on an overly polite palate. There’s all the right signs – nuts, honey, soft fruits, but there’s less depth that you would expect ­– or dare I say demand. Gentle and soft, but quick. Sadly, this is all just too well mannered and lacks impact. Tight with notes of unripe pear, hot buttered popcorn and a sudden blast of squashed tarragon. Then comes the acidic frisson of pink grapefruit and hot sawdust. Slowly but surely a charred note develops that brings to mind red liquorice and despite a late soft blancmange like aroma it is steeliness which finally predominates. As the nose suggests this is a pretty nervy little number with all of that tight acidity you expect. Water is needed and although it does bring out some creaminess, and a touch of chocolate sauce, in time things become increasingly sour. 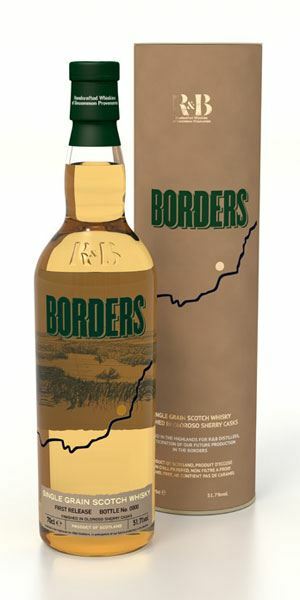 An unusual mix of 50:50 wheat and malted barley, this struggles to free itself from its acidic bonds. A party. Late at night. Drinking neat shrub by mistake. Clean and initially only slightly smoky with a saline edge. The nose becomes increasingly complex, starting with turfy aromas, sheep dung, then the melancholy aroma of iris before it perks up with blasts of oyster brine and kelp. In time, it gets more bready and, with water, there’s even a hint of boot polish. Good. A very sweet start, then a big nose-tingling, wasabi-like hit that then drifts into sea urchin. The alcohol is strong and it does need water which, while calming the more enthusiastic elements down, allows more subtle background fruits to come through along with smoke. Fresh but deep. Clean and complex. Well worth a look. Gazing back at Islay as you are being dragged back to the mainland. The sun setting, aromas of the coast drift into the air. A tear trickles down your face. 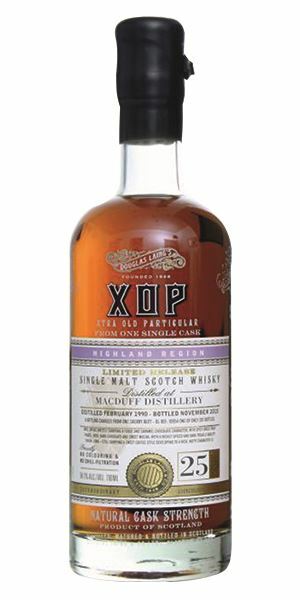 Mature and bold to the extreme which is what you want from Macduff. Big and funky, with masses of rancio, dried fruit, cheese rind, chestnut puree, and a burnt meat element. It’s somehow sweet as well. Masses of character and weirdness. Love it. Big and roasted, moving into hot chestnuts and Bovril. Layered and unrelenting. While it is hot when neat you lose that character and boost the tannins when it’s diluted, so keep an iced glass of water on the side. Long, still burnt and slightly oily. This is classic Macduff – a distillery which always does things its own way. No, it’s not perfect, but it's wonderfully odd. Highly recommended. Light. 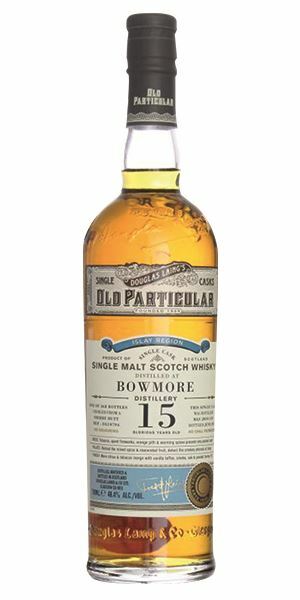 Very light in fact, with some raspberry juice and firm cereal elements sitting in the background which bring to mind a distillery millroom. There’s a little touch of smoke, but the fruit – which with water develops into jam skimmings – dominates. There is a sense of immaturity. Green notes to start with – unripe strawberries in the punnet, then comes a slightly odd antiseptic note. Slightly thin on the palate. The fruit is very sweet, but it can’t mask the tightness of the base spirit. The smoke leans out slightly. This has the most peculiar rose colour akin to dentists’s mouthwash – coming from the ‘Tuscan red wine casks’ it’s been finished in. 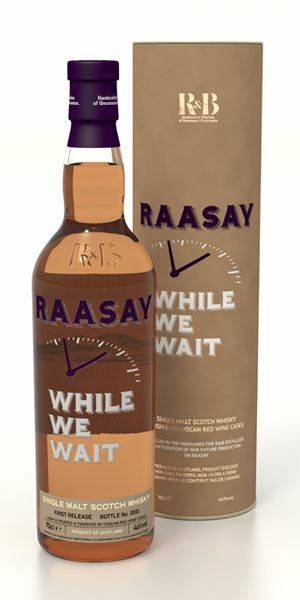 This is what Raasay is about. Clean and quite thick to start with. 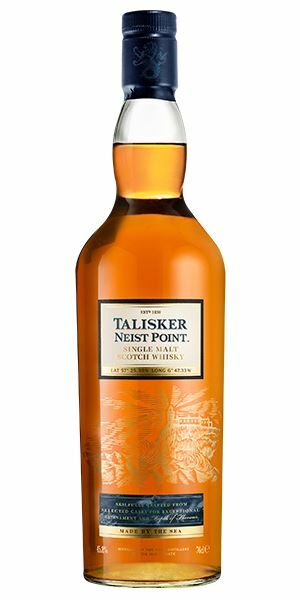 Sweeter than you expect from Talisker, but there’s still smoke and a hint of sulphur suggesting young elements being used. A preserved lemon lift leads into camphor, light pear, lavishly buttered brown bread, and sea salt. Complex and balanced. Sweet and almost candied, with a little crème anglaise to begin with, but then the smoke comes roiling in along with signature pepper, sesame oil, and a lively pine-like note. Long and peppery with just a slight tension on the end. Complex and balanced with a clear progression on the palate from sweet, to smoke, to spice. Eating cold peppered mackerel in a pine forest overlooking the sea. Batch 23 08/01/2016 Dave Broom inspects G&M’s Wood Makes the Whisky series, alongside a rare 1950 Glen Grant. Batch 21 11/12/2015 Glenturret’s new single malt range, two wood-influenced Ballantine's and JW&S 2016 Private Edition.